The brilliant new Lucas Davenport thriller from the number-one New York Times best-selling author. "Sandford's track record as a best-selling author is amazing, but it's not an accident," wrote Booklist of Wicked Prey. "His plotting is sharp, his villains are extraordinarily layered, and his good guys are always evolving. Did she see enough? Can she identify them? Gnawing it over later, it seems to them there is only one thing they can do: Find out who she is, and eliminate the only possible witness. I was not impressed with John Sandfords last prey novel, but I was super impressed and ENTERTAINED with Storm Prey! 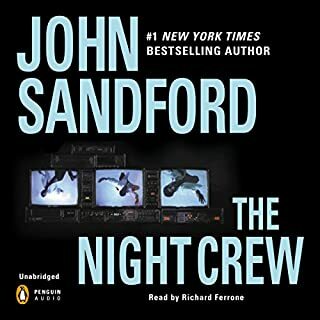 In this book, Sandford brings in all my favorite characters such as: Weather, Letty, Dell and Virgil Flowers who works with Davenport throughout this case. The plot starts off light then it swirls into many ripples. 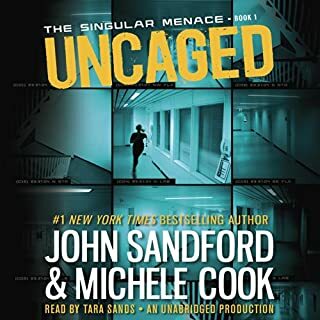 The most important ingredient was that Sandford brought situations causing some gerneral fear and alarm in many parts of the book for some of the characters. He also brought in the shock value. 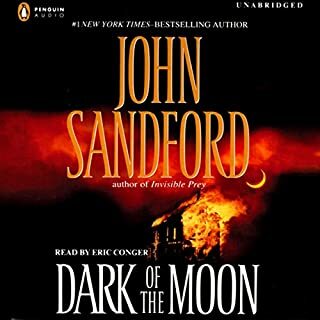 I liked Richard Ferrone as Narrator he grew on me a few audiobooks back. I'm looking forward to the next 'Prey' novel because Weather and Lucas make an important decision at the end of the book and I can't wait to see if they follow through with it!! John Sandford returns to his previous form in this new novel about Lucas Davenport and the Minnesote Bureau of Criminal Apprehension. All the elements of classic Sandford are here. A vicious crime and a gang of miscreant criminals. A Minnesota winter. A side plot that could be its own novel. Plenty of Davenport. Virgil Flowers. What more could a Prey fan ask for? I thought that a couple of Sandford's previous efforts, centered around a political convention held in Minneapolis, were really one book that had been split into two just because it could be. In other words, my view was that these two really should have been one book. But in Storm Prey, along with the last Virgil Flowers novel, Sandford has returned to the greatness he showed earlier in the series. This story is well told and moves along at a very nice pace. There is one key side plot, one or two incorrect roads that Davenport and the team take just to keep it realistic, and a couple of very clear recapitulations of the whole story at a couple of points so that the listener can keep it all straight. As usual the narration by Richard Ferrone is just excellent. I agree with a prior reviewer that Eric Conger's narration of the Flowers novels is a good switch for that series, but no one does Davenport like Ferrone. Others here have knocked his French accent - not hard to see why - but it really wasn't a big issue for me. Overall, thanks for another Prey novel. This one felt much more like the early books in the series to me. Good show! Five stars. So many of these "Prey" books -- I was scrolling through my iPod, looking for the newest John Sandford book I'd just downloaded. But I got confused, selected the first 'prey' book starting with "S" I came across, and started listening. It took only a few minutes for me to realize I'd listened to this one already -- and not that long ago, either. But? I couldn't seem to turn it off. Finally I decided I might just as well listen to the whole book again. This is just a very good book -- lots of tension, twists and turns all over the place, odd-lot characters who seem like real people, lots of laugh out loud one-liners, and all your favorite players, Virgil Flowers included, a side-kick who now stars in some of his own books, and whose droll commentary I've come to appreciate. The Minneapolis setting -- cold, stormy, ice everywhere you look -- is another asset. It's always good to listen to these books in the summer -- they cool you off. In 'Storm Prey', the tension of Weather's surgery -- to separate conjoined twins -- set against the background of really brutal, nasty criminals is a winner. This time, I already knew who the bad guy was -- you will too, not very far in -- but that didn't detract from my thoroughly enjoying this book again. 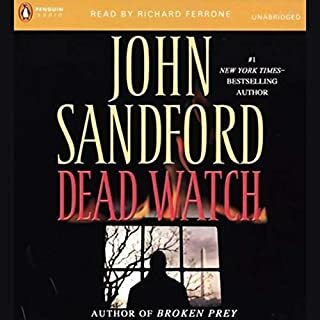 Sandford is one of the very few contemporary prolific detective fiction authors whose last books are just as good as the first ones -- the only others I can think of are Sue Grafton and Jonathan Kellerman. All the others seem to run out of steam about ten books in, but not these three. So not only are these books classics, designed to be enjoyed again and again, but you know that no matter which one you decide to listen to, it's going to be a pleasure. And now, the good news is, I still have the newer one I just bought left to listen to -- good deal! I couldn't disagree more with some of the reviews I saw regarding John Sandfords' most recent book. I found it entertaining and I think Richard Ferrone always does a good job with Sandford novels. Lucas Davenport is always terrific and that f*&^ing flowers is too. I can't wait for the next one. If you like the Prey series, you will like Storm Prey. One of Sandford's best novels! John Sandford writes mystery crime thrillers set in Minnesota, especially the twin cities. My Audible library includes approximately half of his many novels. The books are in two series, Lucas Davenport and Virgil Flowers. I find the quality of Sandford's work to be inconsistent ranging from 3 stars to 5. The best of his books are in the Lucas Davenport series and feature either Davenport's eye surgeon wife Weather or their teen adopted daughter Lettie. Storm Prey features Weather as the witness to a crime. It rivals in quality Sandford's most recent release Gathering Prey which feathers college student Lettie. At his best Sandford is among the elite crime mystery thriller writers while at his worst his books are still well worth an Audible credit. Storm Prey serves up more of the excellent recipe that John Sanford has the patent on. I was completely caught up in the multiple story lines and Lucas is his usual irrepressible self. 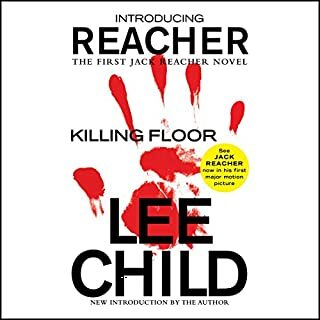 I think Richard does another superb job of reading, and with each book in the Prey series, his distinctive voice becomes more and more the voice of Lucas Davenport. If you like the other books in the Prey series, you will absolutely LOVE this book. I don't know what some of the reviewers on here were listening to, but it certainly wasn't THIS book. Great characters, great story, great narration. What else is there? All I have to say is...this one is twisted. The two "bad guys" are the most hilarious duo. Yes, Richard Ferrone is less than adept at handling accents. That said, his voice and delivery are absolutely perfect for Lucas and the usual cast of characters in a Prey novel. Hearing him establishes instantly that we are back in the Twin Cites with Davenport. Nicely moderated testosterone with a late night feel. Storm Prey is unique among the Davenport stories in that there is no brilliant antagonist at work here. Just a collection of small time losers trying to clean up the mess they have made with a robbery gone bad. As usual, however, Sandford humanizes even the worst and most repulsive of his bad guys. We want them caught and probably even dead, but we are forced to ride along with them on the trip, and there is always a little Stockholm syndrome working in these books. Which is why the medical procedure in this book is so brilliant. In the end, Sandford is writing about his characters not just as cops and doctors and hoods and news people but as complex human beings. Actually the crime story here is quite simple and banal and ends up almost solving itself. The evil in the book tears itself apart with little help from Davenport while the life saving mission his wife embarks upon is grueling and charged with passionate commitment. We watch the two narratives develop, occasionally intertwining, and Lucas' family lives always on the margin between the two. The effect is deft and powerful, especially since JS never forgets that the first job of a crime novel is to keep us on the edge of our seat. I eagerly await each new Sandford novel because I love his characters and his ability to unravel a serious crime mystery and make you laugh while he's unraveling. I'm totally in love with the Lucas Davenport family although I'd love to read more about the baby boy. Any story that has Lucas Davenport and crew then throws in his young side-kick Virgil Flowers has to be a winner. I highly recommend this book. I can't wait for the next John Sandford "Prey" Novel. I give this one a Ten...wait, I forgot Five is the highest score. 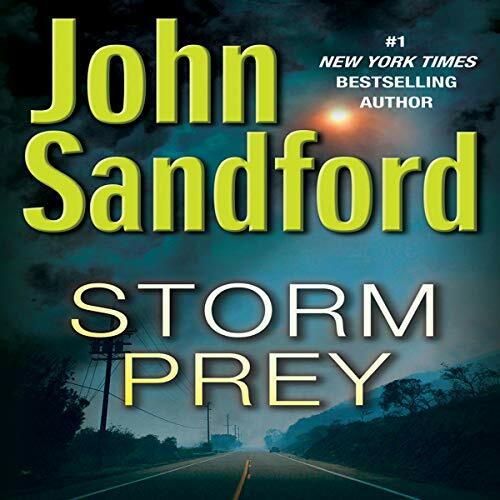 Five Stars for John Sandford's Storm Prey. 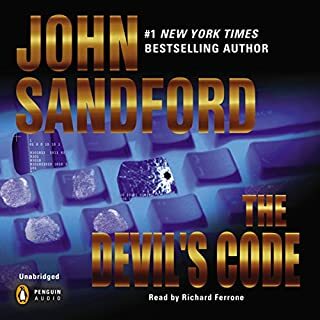 After being disappointed by the last two Prey novels with Lucas Davenport, I was concerned that Mr. Sandford had lost his edge with the Prey series. Not so with this book, Lucas is in good form, along with all the other characters we've come to know over the years. Okay, maybe a bit predictable - but who cares. And listening to Richard Ferrone is always a pleasure - he's got that "growl" that fits perfectly for Lucas.